Variety native to the United States, very popular among the pioneer families in the 19th century. Still very much appreciated today, especially in California. 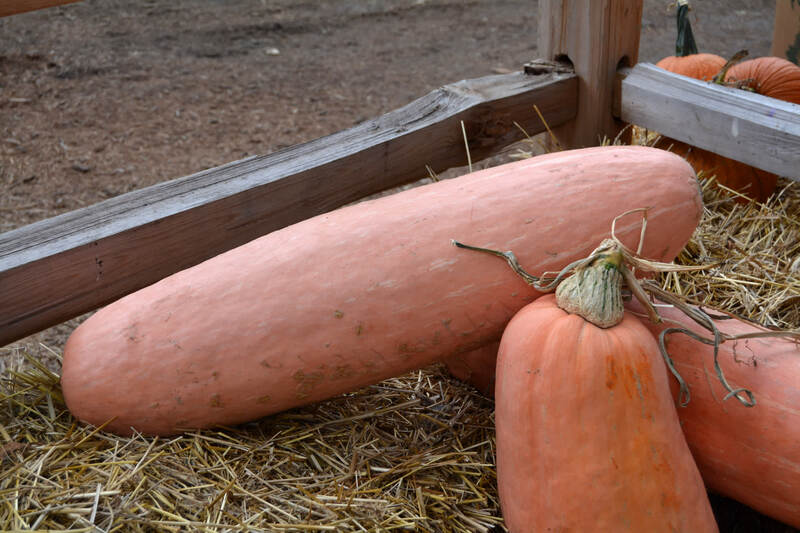 The pumpkins have a length varying from 30 to 120 cm, with weight from 5 to 20 kg. The pulp is intense orange and quite sugary taste. Suitable for cakes and baked. Storage capacity from 3 to 6 months. 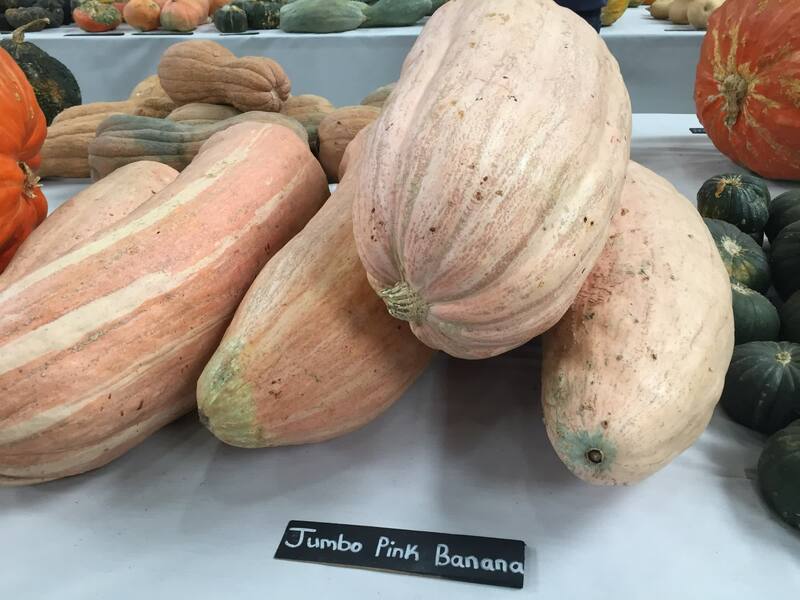 Pink Banana squash are cylindrical in shape and imposing in size, reaching up to 2 to 3 feet in length and averaging 8" in diameter. 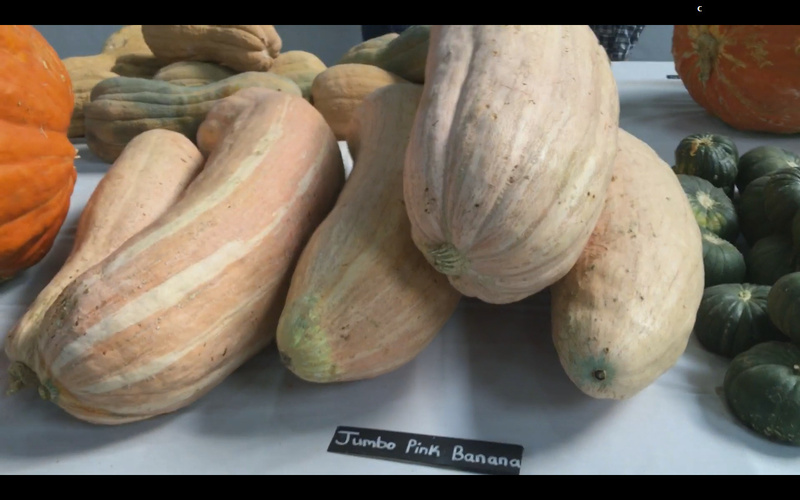 Though the average weight is about ten pounds, a heavy banana squash can weigh up to 40 pounds. Their thick-walled rind, when ripe is salmon pink in color. 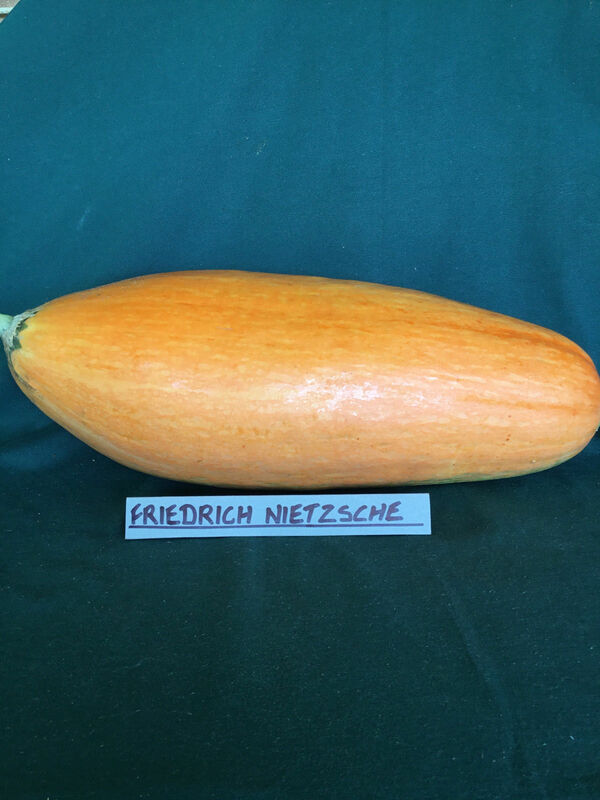 The flesh: thick, firm, dense and meaty with a true pumpkin orange color. Its seed cavity holds few and small seeds. 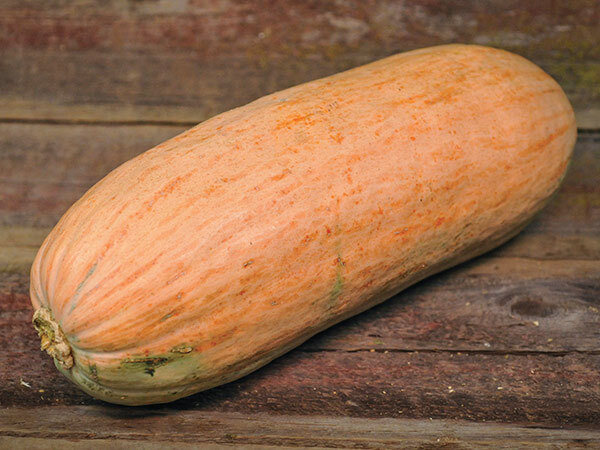 The cooked flesh of the banana squash has a stronger flavor, fragrant, rich and earthy sweet. The flesh is finer grained and sweeter than a standard pumpkin. When found commercially at the grocery store you generally see this sold in chunks covered with clear plastic wrap instead of whole. 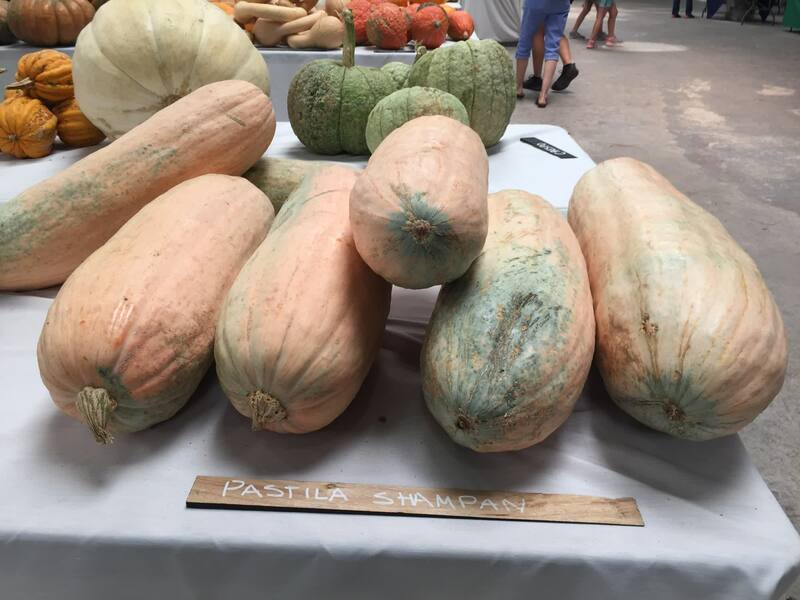 Instead of pumpkin pie for holidays, we traditionally ate squash pies made by Great-Grandma Barlogio using Pink Banana Squashes. 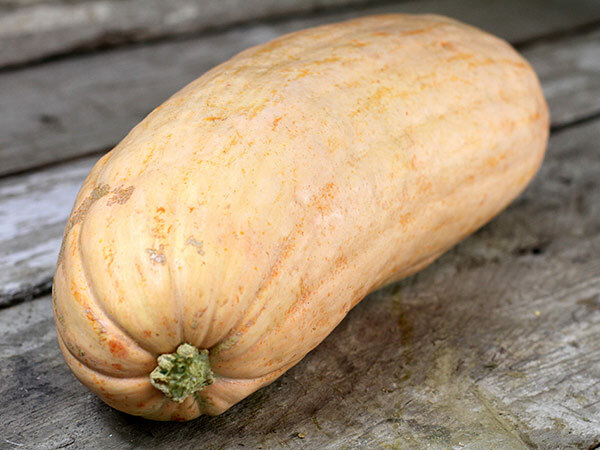 The beautiful, smooth outer skin is very versatile and can be used for many squash dishes. This variety is over 100 years old. Popular on the West Coast; large yields. 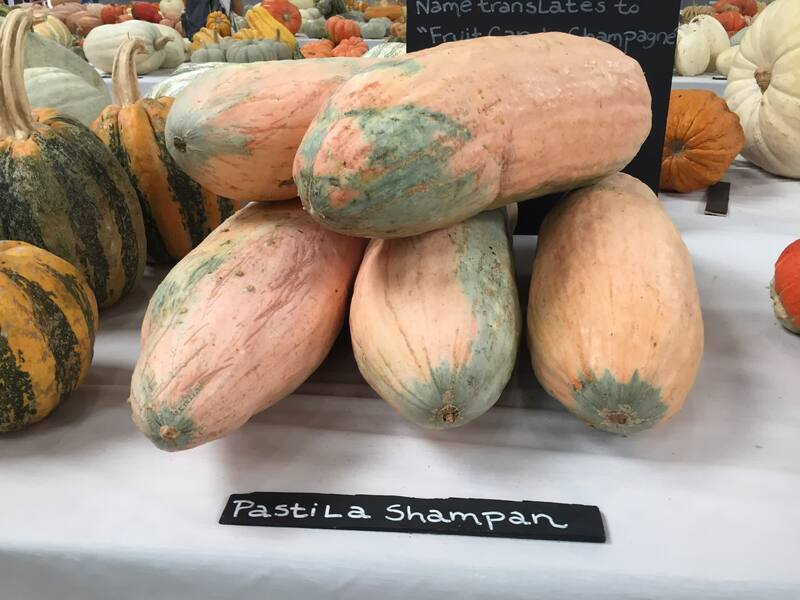 Squashes of Cucurbita maxima can trace their origins back to South America and made their way to North America sometime after 1492. 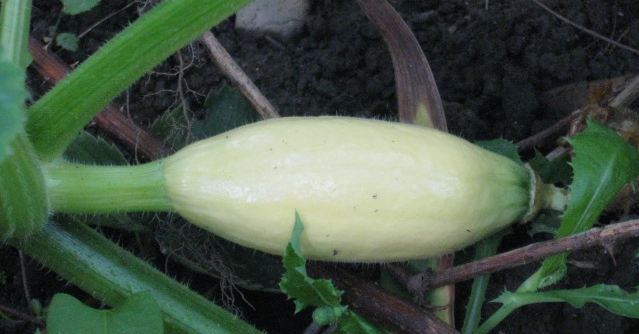 Seeds from an archaeological site in Peru matched the distinct identity of today's Banana squash cultivar. It would be traded and traveled to other regions within the Americas, yet maintain its identity as a true New World crop. 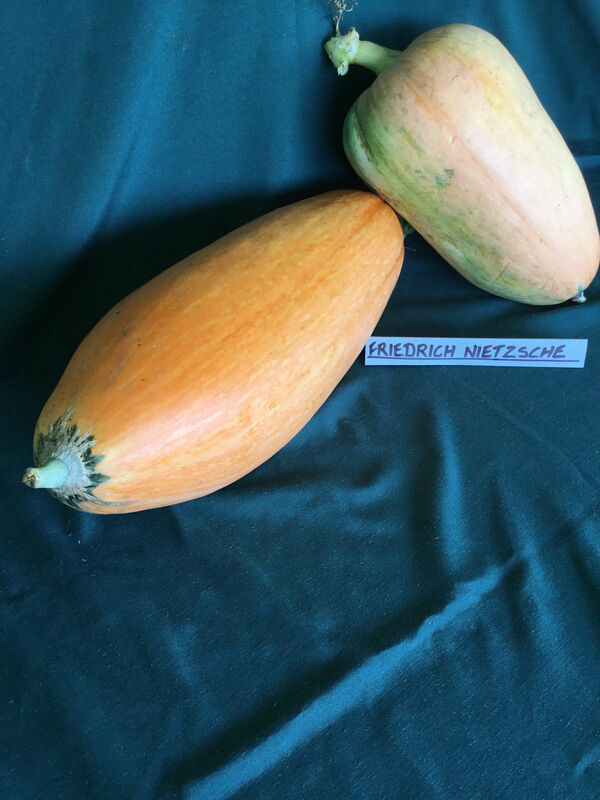 The family of Banana squashes were introduced into the United States by R.H. Shumway in 1893 under the name of "Banana Squash" and "Plymouth Rock". 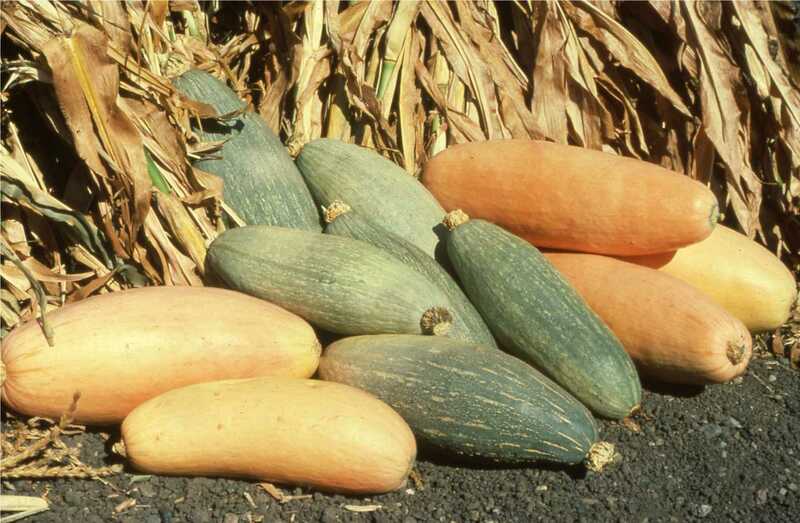 Though the Shumway seed catalog would be the initial Banana squash orientation within the U.S., other seed catalogs would soon follow and by the early twentieth century the Banana squash was becoming a popular winter squash variety. 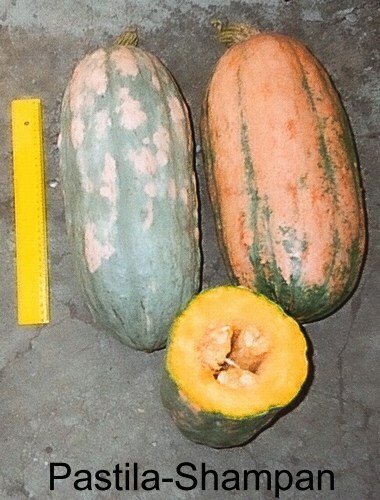 The traditional variety had a blue-gray epidermis striped with orange becoming pink-cream when ripe. 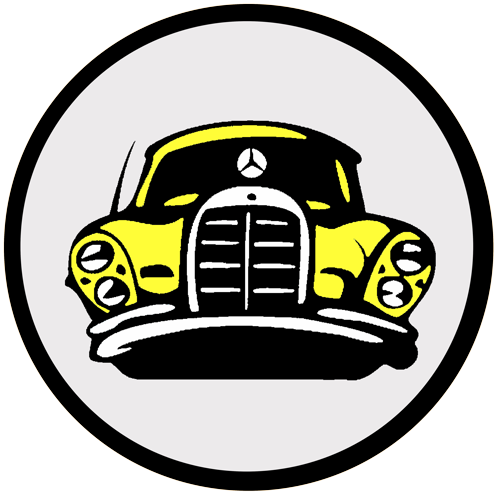 By the 1900s, Aggeler and Musser from Los Angeles developed three lines: a yellow-orange variety, a blue-gray variety, and a pink variety. (Fruit Candy Champagne) From Russia. Average weight 3-4 kg. / 6.5-9 lb. Pink or bicolour skin - pink and grey-blue. Medium thick, orange flesh. Advertised as having vanilla aroma, and surprisingly sometimes it really has a touch of vanilla/milk flavour, when steamed (when baked loose that flavour and becomes much like 'Pink Banana'). Very good to excellent taste. 95 days. 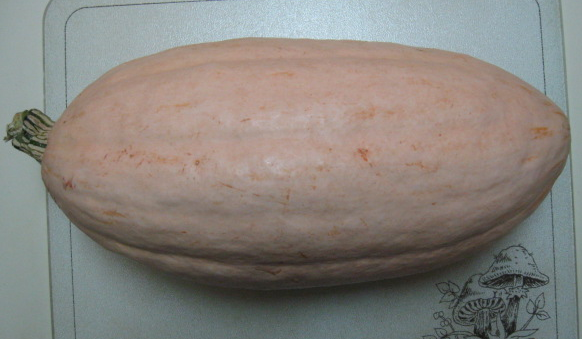 This pinkish banana squash with excellent taste is an old variety of European heritage, probably German. It is an elongated fruit, of various lengths with reddish-orange rind, often with a green point on the end. 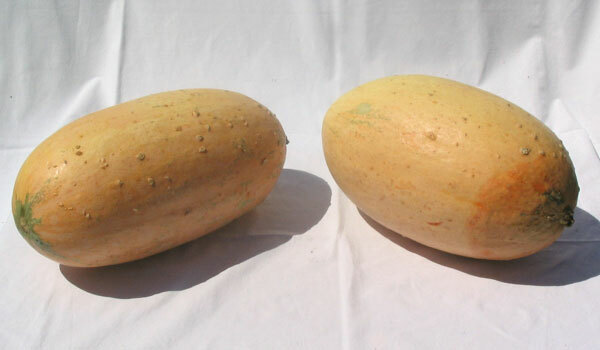 The bright yellow flesh is thick, moist and medium firm with a mild flavour. Should be good in baking (scones, bread etc.). 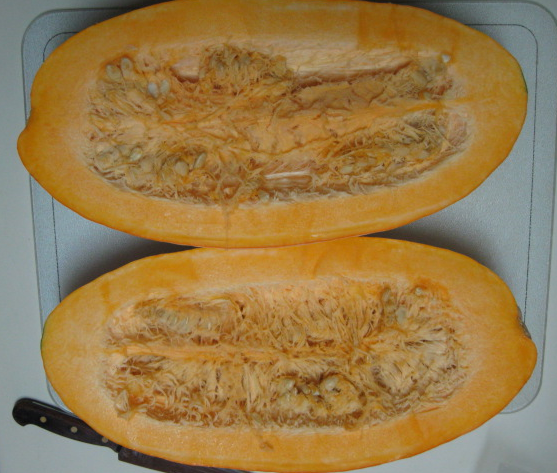 Whilst the seeds do run the length of the fruit, the cavity is only small which means there is a good amount of flesh. The large vines produce fruit ranging from 1.5kg to 4.5kg in around 105 days.